Over the past week, we’ve finished the bulk of the mechanical construction. The major structural components of the robot have been assembled and we’re now working on piecing everything together. 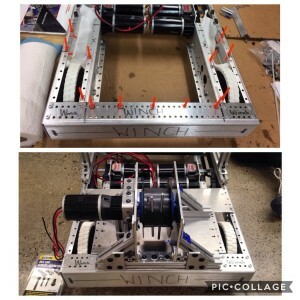 The gear system has been tested on the robot and it works as intended. 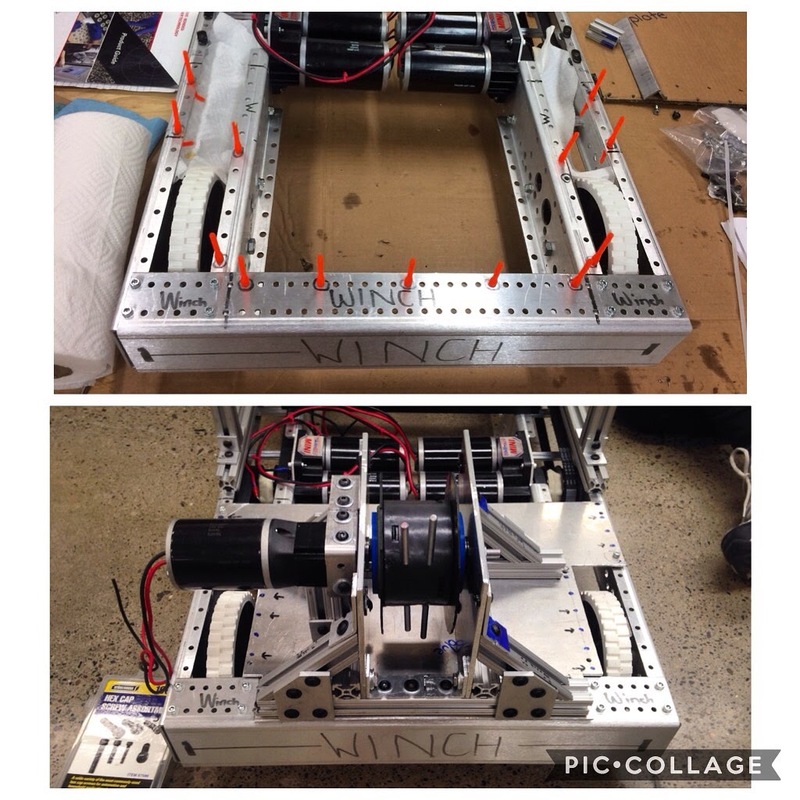 The winch’s 3D printed parts have been placed together with Click Bond structural adhesive and the entire system has been assembled and is currently being mounted! We are excited to begin testing and lifting! Electrical & programming has also started to mount electrical components such as the battery and the motor controllers onto the robot.